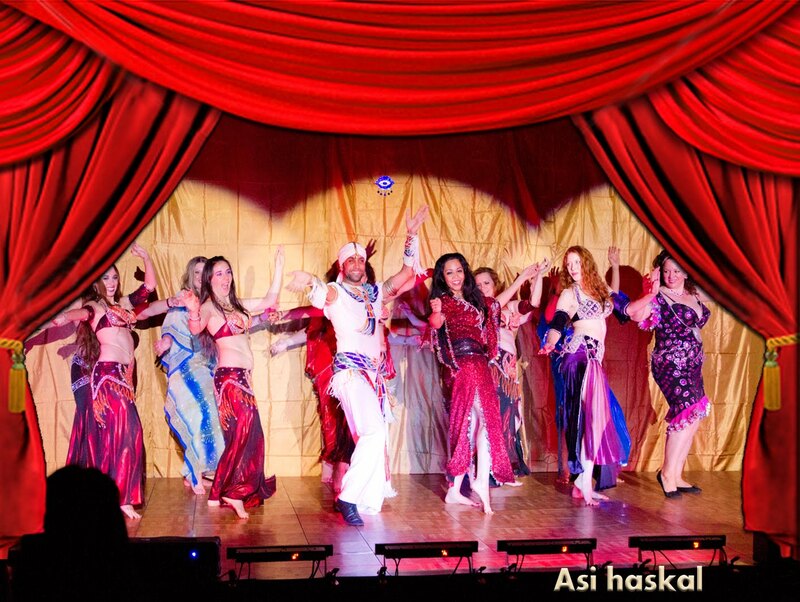 Asi Haskal is an oriental dancer and designs costumes for dancers from all over the world. Egypt and this occupation made the dream come true, He flew often to Egypt where he met his favorite dancers Nagoa Foad, Fifi Abdo, Dina, Sohir zaki, Mona El Said and more. that last till this day. When he was adolescent he joined a dance group as a designer and after a short period became soloist. Asi has a magnificent musical ear, charisma and charming personality. In the last years he engraved an original style which proves his great talent and grace, his style is characterized with masculine and not feminine elements. Asi has become a famous dancer in the middle east thanks to his unique style and identity. The costumes he performs with are of course his own designs and has an affinity to the Egyptian culture. As opposed to costumes he designs to dancer his costumes are equable without exposed belly and he wears a special head cover (Turban) and a royalty gown. performs in the media and news papers, in national and cultural events, festivals, fashion shows, TV productions and commercials. In addition he often performs in weddings and family events around Israel and among the Arabic community. Five years ago due to mass demand he opened the oriental dancing school where he teaches every day. Some of his student had become dancers themselves. His spirit and inspiration prevail in the studio and makes a remarkable atmosphere. in order the dancers will be able to perform perfectly with his choreography.